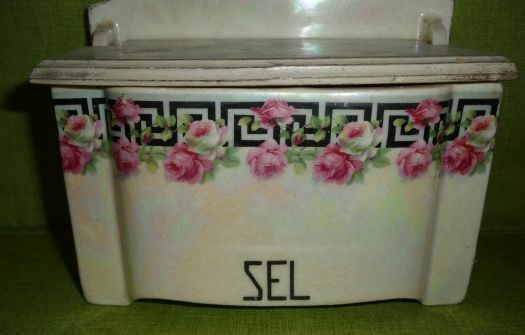 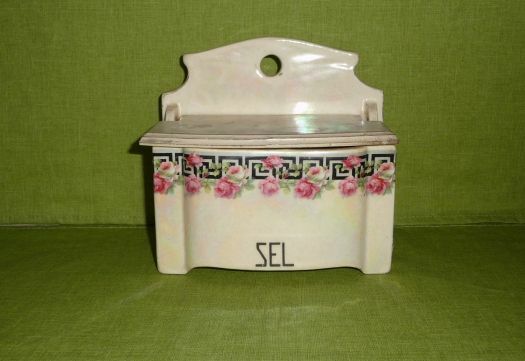 Nice rose design and pearly aspect for this salt box. 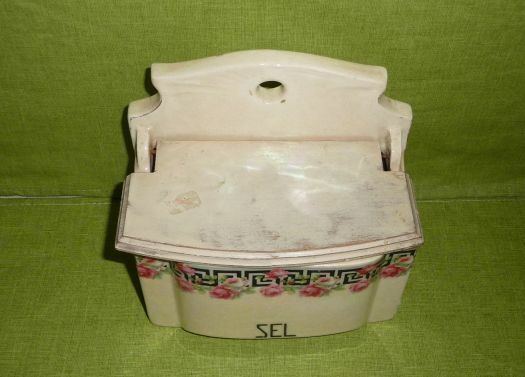 The wooden lid has been painted in white, that is rather nice. 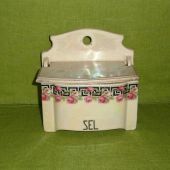 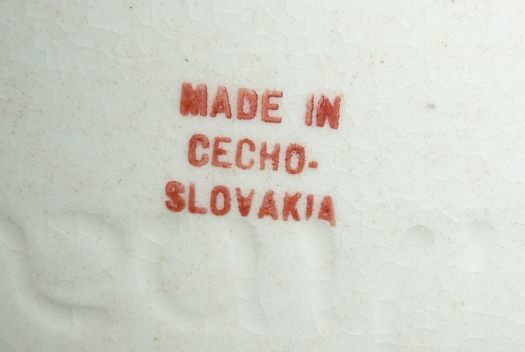 16,3 cm x 10 cm ; height 15,5 cm.